The wonders of the world are always within reach from these magnificent hotels. Vineyards and olive groves unfold just steps away from your luxurious hotel in Tuscany, and treasured landmarks of Jerusalem are always within reach from your legendary hotel property. Every one of the over 1,100 hotels we select is carefully vetted to ensure your stay is always elevated, and our exclusive benefits guarantee your experience is unsurpassed. When we arrange your stay, you’ll indulge in privileges like complimentary breakfast for two daily, $100 in dining or spa credit, early check-in and late check-out when available, and complimentary Wi-Fi access. 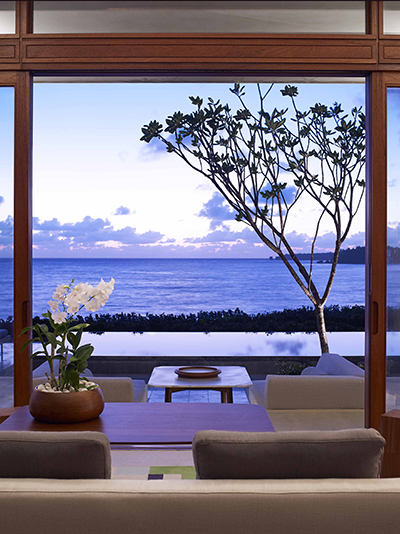 When we reserve a participating suite for two or more nights, we’ll provide you with up to $500 in valuable benefits. The King David, Jerusalem, one of the world’s legendary hotels, is a major landmark in a unique city. 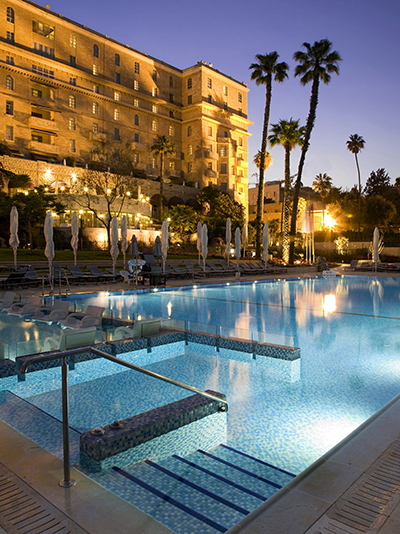 Blending the past and old-world refinement, this property is unquestionably the most famous of all Jerusalem hotels. Superbly located on an elevated site, the King David, Jerusalem offers incomparable views of the walls, minarets and domes of the Old City. All guests enjoy a full Israeli breakfast daily and free Wi-Fi. Overlooking a mile-long beach and set by a spectacular clifftop golf course, Amanera commands a dramatic coastal position in Playa Grande. Its sleek, modernist design frames triptychs of gold sand, Atlantic blue and the abundant greenery of a nature reserve. The focus is firmly on the incredible outdoors, where relaxation awaits in many guises — from endorphin-boosting water sports to immersive local therapies and back-to-nature experiences. It is an inspiring setting for weddings, families and anyone yearning to reconnect; a place of deep impressions suffused with the spice and flavor of Dominican life. 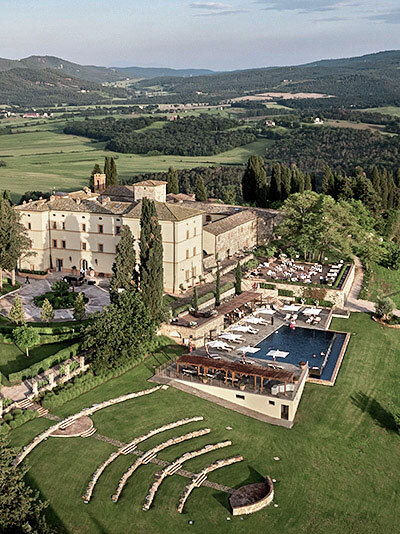 Surrounded by a 4,200-acre private estate of rolling hills, sweeping valleys, vineyards and olive groves, Belmond Castello di Casole is set in a beautifully restored 10th-century castle. Originally owned by the noble Bargagli family of Siena, and one of the largest private estates in Italy, it’s only an hour from Florence and 30 minutes from Siena — ideally placed for exploring Tuscany’s most captivating sights. All guest enjoy full breakfast daily. 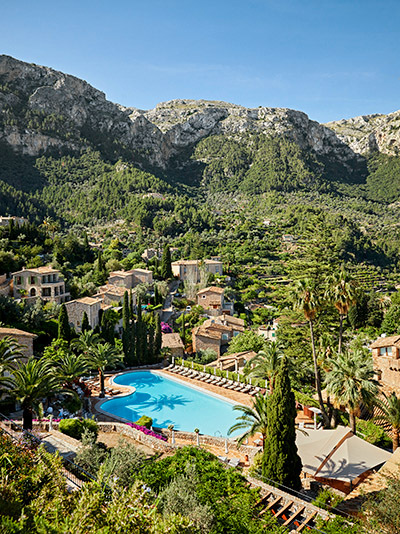 Belmond La Residencia is a place that knows luxury — and life — is best served chilled. Set in the artist village of Deià, between the Tramuntana Mountains and the Mediterranean Sea, the property is dotted with sweet-scented citrus trees and ancient olive groves. Dine on sensational cuisine — perhaps admiring the 33 original Miró paintings in our café — or explore more than 750 works from local painters. All guests enjoy an American buffet breakfast daily. See the world from the best point of view when we reserve your stay at one of these extraordinary accommodations.